Struggling to keep up to date with the fast moving Raspberry Pi world? 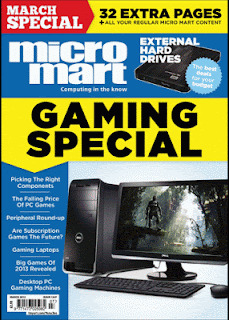 Then why not buy the Micro Mart magazine this week and read the February issue of my monthly series covering Raspberry Pi news, community events, hardware, software, games and tips. The Sony manufacturing facility at Pencoed in Wales is an impressive place, with an output of 4,000 Raspberry Pi Model B boards per day. The Model B has well over one hundred surface mounted components (SMT) located on both sides of the circuit board, plus a few PCB Through Hole (PTH) mounted components on the top side. To ease handling issues they travel down the production line as a connected 'Pi six-pack'. Raspberry Pi Jam, or Jamboree, events are springing up all around the country. A quick browse of the Raspberry Jam website reveals events in London, Manchester, Cambridge, Bristol, Coventry, Milton Keynes, Durham, Machynlleth and even Tokyo. Chameleon is a Raspbian remix image (without the X graphical environment) which uses its own launcher to run emulators for old computers, arcades and consoles. The supported list includes the ZX81, Amstrad, Atari ST, C128, Vic-20 and Oric Atmos.